Natashia Boland is a Fouts Family Professor in the H. Milton Stewart School of Industrial and Systems Engineering at Georgia Tech. She received her BSc(Hons) and PhD from the University of Western Australia in 1988 and 1992, respectively. Dr. Boland is an expert in the field of integer linear programming and discrete optimization, and an exponent of its application to address complex problems in government and industry. Her contributions to the field have spanned theory, algorithms, modeling and applications, in mining, defense, renewable energy, airline planning, freight transport, port logistics and water management. Boland aided in the initial design of integer linear programming decision support tools for open-pit mine production scheduling and explored approaches that better incorporated blending of mineral products and uncertainty in the mine geology. She then went on to tackle supply chain logistics problems in coal export, developing decision support tools for integrated planning of maintenance in the rail/port stockyard system and for both strategic and tactical planning of the movement of material through the system. Dr. Boland has consulted directly with airlines, and worked with airline software companies on monthly crew planning, maintenance planning for aircraft, and integrated crew and aircraft planning close to the day of operations. Recently, her work has focused on two main directions. The first, a better solution of planning problems in time-space networks: she has developed techniques that generate only the parts of the network really needed to determine near-optimal solutions, with high accuracy and in far faster computing times than previously available. She is applying these concepts in the design and operation of less-than-truckload carrier networks. The second is on addressing problems with multiple objectives. She is developing technology that can efficiently, in practice, offer the decision maker a comprehensive view of the trade-offs available to them, given the constraints of their system. Such technology is especially helpful in settings in which issues such as fairness, risk, environmental impact, and human factors, as well as costs or profits, play an important role in the decision-making. Her research has been supported by UPS, NSF, ARC (Australian Research Council), the HVCCC (Hunter Valley Coal Chain Coordinator) and BHP-Billiton. 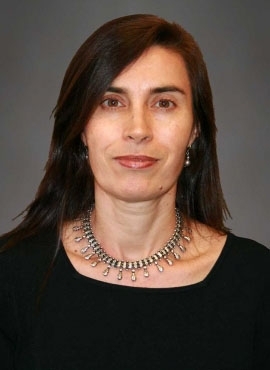 Previously, she held the position of professor of applied mathematics at the University of Newcastle, Australia from 2008 to 2014, a role she took up after completing her PhD at the University of Western Australia in 1992, followed by two years of postdoctoral research at the University of Waterloo, Canada, and the Georgia Institute of Technology, respectively, and 13 years with the University of Melbourne.